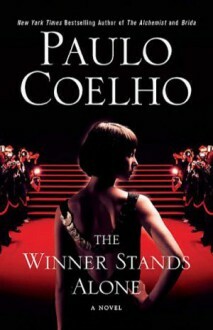 In The Winner Stands Alone, Paulo Coelho has returned to the important themes of Eleven Minutes and The Zahir: Love and Obsession. He offers a suspenseful novel about the fascinating worlds of fortune and celebrity, where the commitment to luxury and success at any cost often prevents one from hearing what the heart actually desires. Coelho takes us to the Cannes Film Festival, where the so-called Superclass gathers——those who have made it in the dreammaker’s world of fashion and cinema. Some of them have even reached the very top and are afraid to lose their lofty positions. Money, power, and fame are at stake——things for which most people are prepared to do anything to keep. At this modern vanity fair we meet Igor, a Russian millionaire; Middle Eastern fashion czar Hamid; American actress Gabriela, eager to land a lead role; ambitious criminal detective Savoy, hoping to resolve the case of his life; and Jasmine, a woman on the brink of a successful modeling career. Who will succeed in identifying his or her own personal dream among the many prefabricated ones——and succeed in making it come true? Enough of this hype. I thought I can wash away my disappointment of this book after a long time but I can't. A good book altogether. A sure re-read..